The Dual Paddle Folding Walker has ergonomic paddles that can be depressed with the palm of the hand for easy folding and unfolding one side at a time. The handles lock into place when the walker is opened. The youth size adjusts in height from 25.75 inch to 32.75 inch in one inch increments. 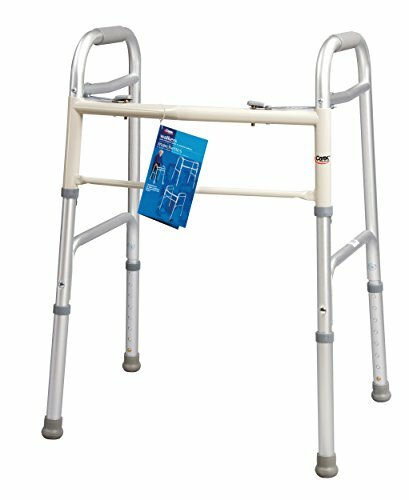 Additional walker accessories are available. Assemble is not required.